Following the recognition of the value of Franco Albini’s work, bound by the Italian State as a National Historical Heritage, the Franco Albini Foundation was set up in 2007 to disseminate a “method lesson” serving the contemporary world. 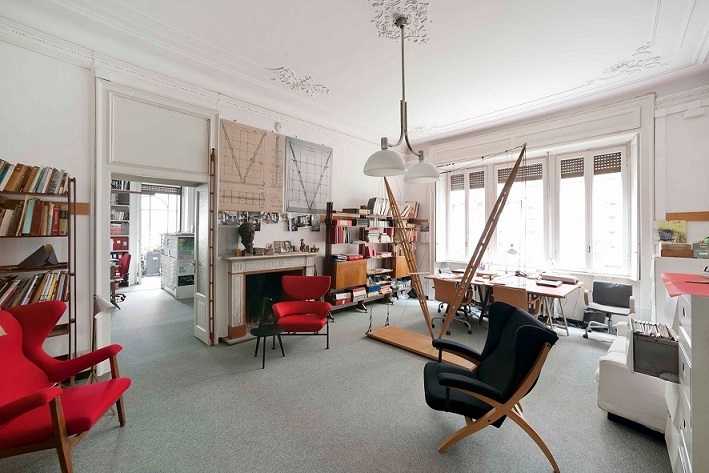 Franco Albini’s archive has been preserved at the beginning of the thirties, as well as collaborating with Franca Helg, Antonio Piva and Marco Albini, Albini Studio Albini Associati and Francesco Albini, active today. The Foundation is a cultural center open to the public. Franco Albini was one of the most important and rigorous Italian architects of the twentieth century, adhering to Italian Rationalism. It marked the history of Italian and international architecture with his multidisciplinary attitude in which the three disciplinary dimensions of industrial design, architecture, and urbanism blend.